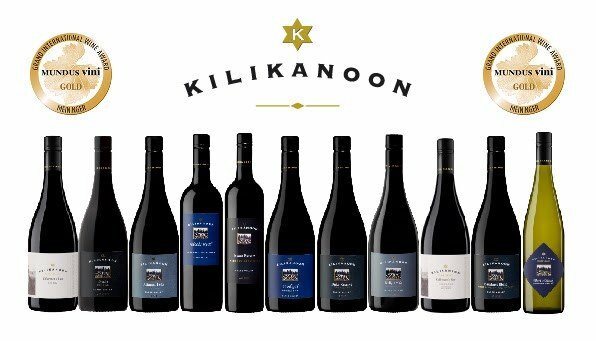 Producer: Kilikanoon Wines PTY., Ltd.
Our Killerman's Run GSM has been crafted through careful fruit selection, traditional winemaking techniques, sixteen months maturation in new and seasoned French oak hogsheads and bottling unfiltered to fully enhance the wines character and appeal. 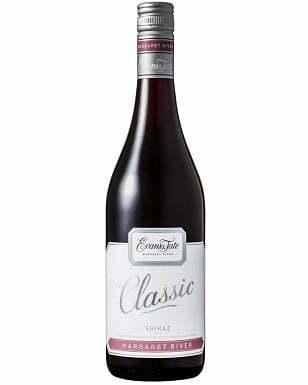 Aroma: Hints of game, savoury meats, red fruits and Medditeranean spices all futher enhanced by subtle French oak notes. 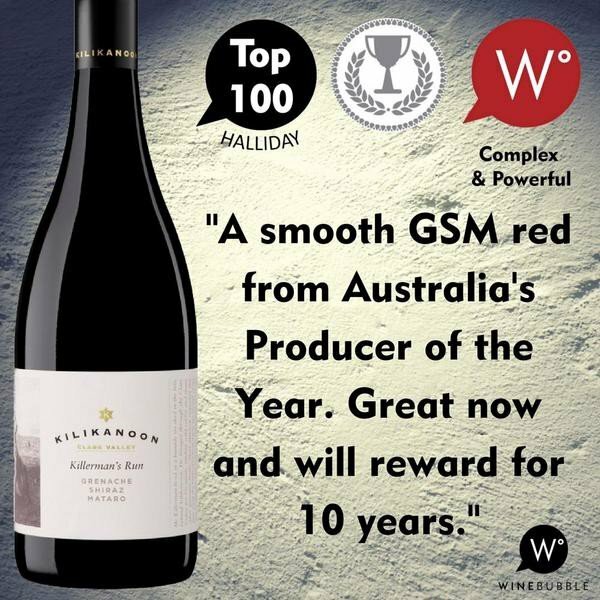 Palate: A seamless and rewarding French styled blend, the majority Grenache providing cherry fruits, toffee and perfume, the Shiraz, robustness and structure whilst the 10 percent Mataro giving length, persistence and a savoury twist to the finish. 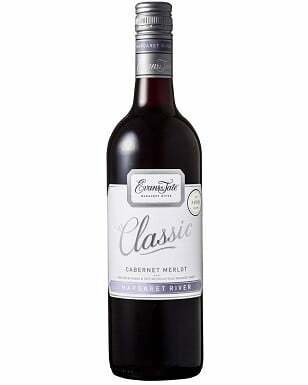 An excellent food wine that will further reward with additional cellaring. Awarded at the International Wine & Spirit Competition 2018.